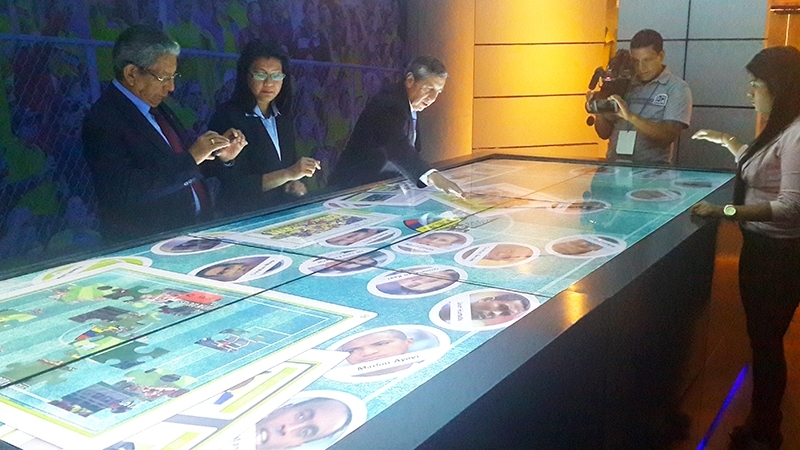 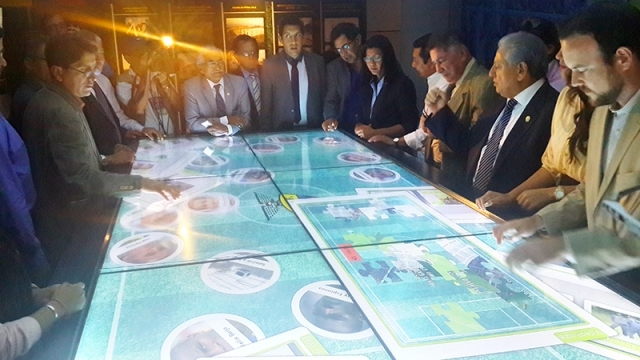 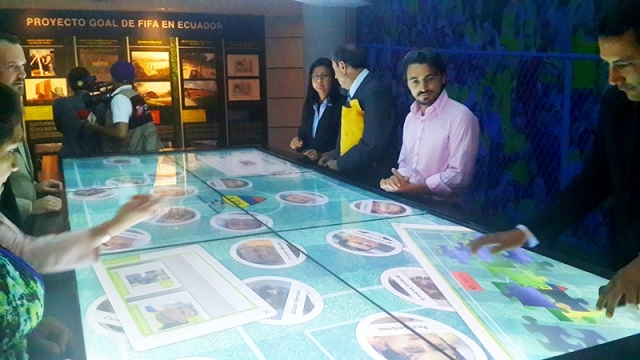 Interactivity is written in capital letters at the new museum of the Ecuadorian Football Federation: Several multiuser apps go into action on a 3x2m multitouch table consisting of six connected 55" LCD touchscreens. 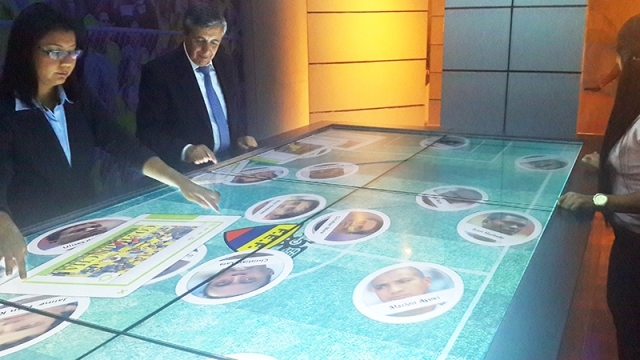 The app PucksView features the current members of the Ecuadorian national football team. 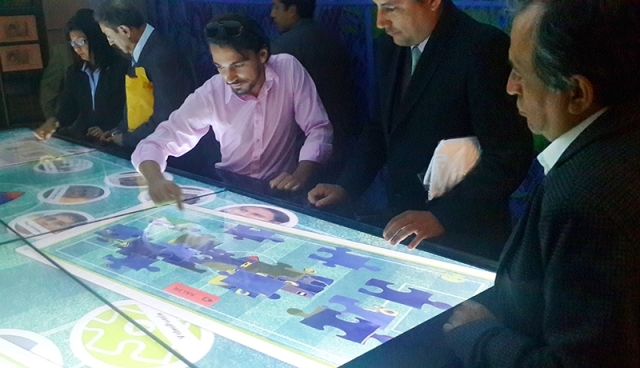 The app MediaBrowser implements the display of further information upon touch.